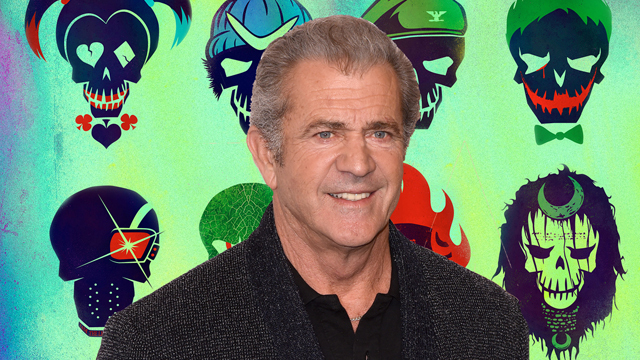 Yesterday, it was revealed that two-time Academy Award winner Mel Gibson was being courted to potentially direct Warner Bros. Pictures‘ Suicide Squad sequel. Now (via Batman-News), Gibson himself has confirmed, at a screening for Hacksaw Ridge, that he and the studio are in the “Kind of a first date” phase of discussing the project. Variety also revealed other names on the list to possibly become the Suicide Squad 2 director, which you can check out below! According to the trade, Ruben Fleischer (Zombieland), Daniel Espinosa (Safe House), and Jonathan Levine (50/50) are also in contention for the gig. Fleischer is a solid shooter who at one point was in serious talks to direct Justice League for DC before his Gangster Squad bombed for Warner Bros., and since then he’s been mostly resigned to TV work. Espinosa’s sci-fi thriller Life with Ryan Reynolds shows promise, though we’ve heard from several sources that his war drama dud Child 44 was a bad experience for all involved. Mainly a comedy director (The Night Before, Snatched), Levine showed with Warm Bodies that he could work well on a big scale film, but he has been reticent in the past to take on a superhero movie, having been in the running for Marvel’s Doctor Strange and Spider-Man: Homecoming. Plans for Gibson to helm the Suicide Squad sequel are far from done deal, but check back for updates as they become available. Directed by David Ayer, the first Suicide Squad stars Adewale Akinnuoye-Agbaje, Adam Beach, Jai Courtney, Viola Davis, Cara Delevingne, Karen Fukuhara, Jay Hernandez, Joel Kinnaman, Jared Leto, Margot Robbie and Will Smith, most of whom are likely to return for the big screen follow-up. Ayer, meanwhile, is working with Robbie on another DC Comics film, Gotham City Sirens. Mel Gibson most recently directed the true World War II drama Hacksaw Ridge, starring Andrew Garfield. The film is currently nominated for six Academy Awards, including Best Picture.